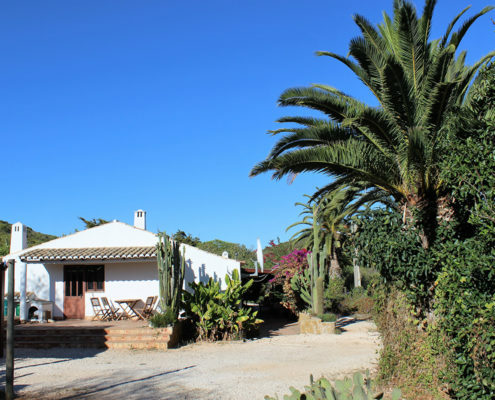 Quinta Vida Boa is a typical, cozy country farmhouse which has been converted into two spacious apartments that are rented as holiday lets: Casa Amendoa offers accommodation for up to 5 guests with two bedrooms. 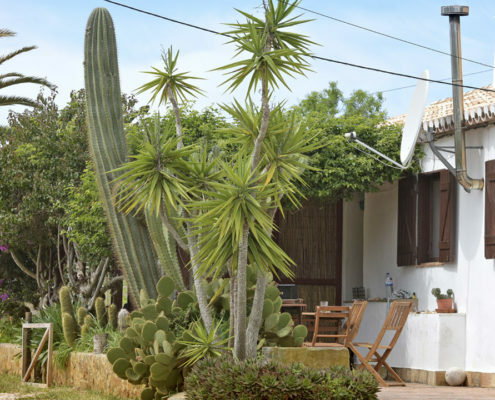 Casa Jasmim has three bedrooms which comfortably accommodates up to 6 guests in total. For two families or large groups there is also the possibility to rent exclusively the entire property and to enjoy a relaxing holiday together, with up to 11 people (including children plus a maximum of 2 babies). 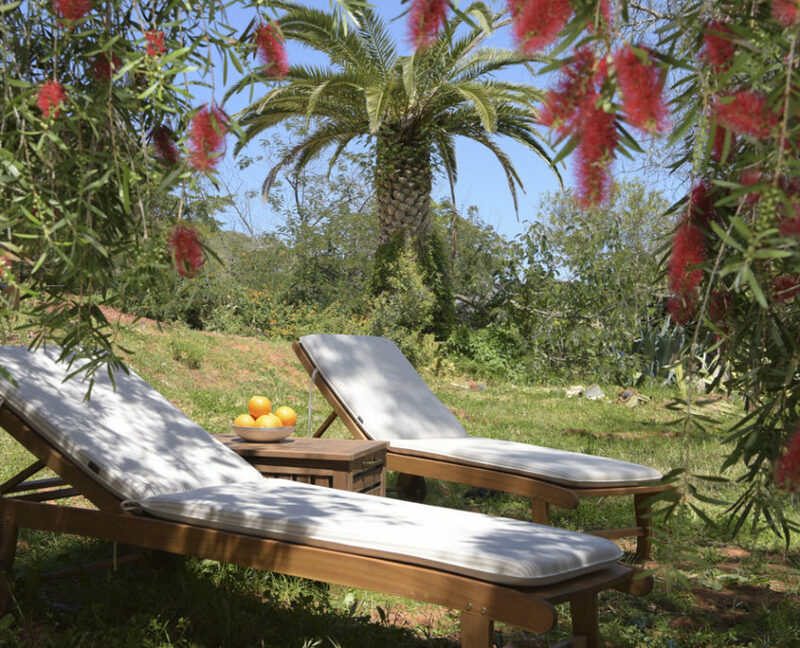 In this case, the garden with loungers and hammocks will be used exclusively by you. We had a really relaxing time with Anna and Claudio for 7 days. The rustic cottage, the spacious grounds, the environment and proximity to the beautiful beach and of course for our daughter the horses and dogs will be remembered for a long time. We felt very comfortable thanks to Anna and her lovely family. The children loved the handling of the animals and enjoyed the riding lessons. The property is great and all the surrounding beaches are beautiful. The accommodation is simple and relatively large and functional, with enough space for parents with up to 4 children. We’ll be back! We rent surfboards and bicycles. Please ask us if you are interested. Nearby there are many nice restaurants and cafes. Two of our recommendations are within walking distance: the chilled Cabanas Beach Restaurant (often with live music) and the very good Indian “Spice Cottage”. A rental car is recommended to explore the area. A bus service is available 2km away in Burgau. The nearest supermarkets are in Burgau (1.9 km) and in Budens (5.2 km). Recommended are the weekly market in Vila do Bispo (14 km) and the farmers market on Saturdays in Lagos (15 km) with local products. You can cancel your reservation up to 30 days before arrival free of charge. If cancelled between 30 and 14 days prior to arrival, 50% of the total price of the reservation (excluding cleaning fee) will be charged. Bookings cancelled less than 14 days prior to arrival are non-refundable.